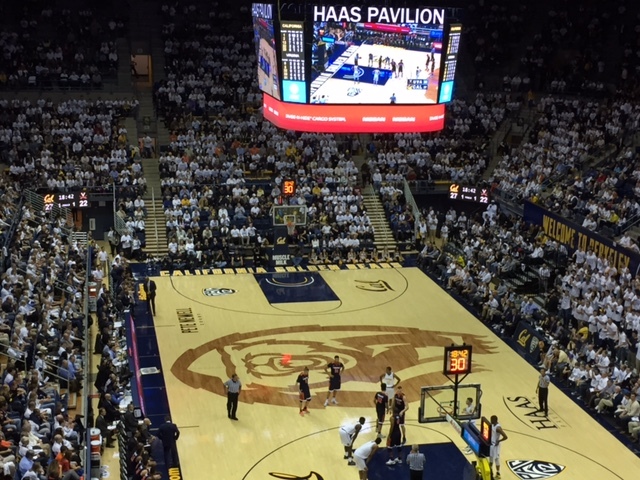 Recently, we went as a family to the University of California at Berkeley (Cal) vs University of Virginia (UVA) basketball game at Haas Pavilion on the Cal campus. My brother-in-law Ronnie went to UVA for undergrad and med school. I went to Cal for undergrad. 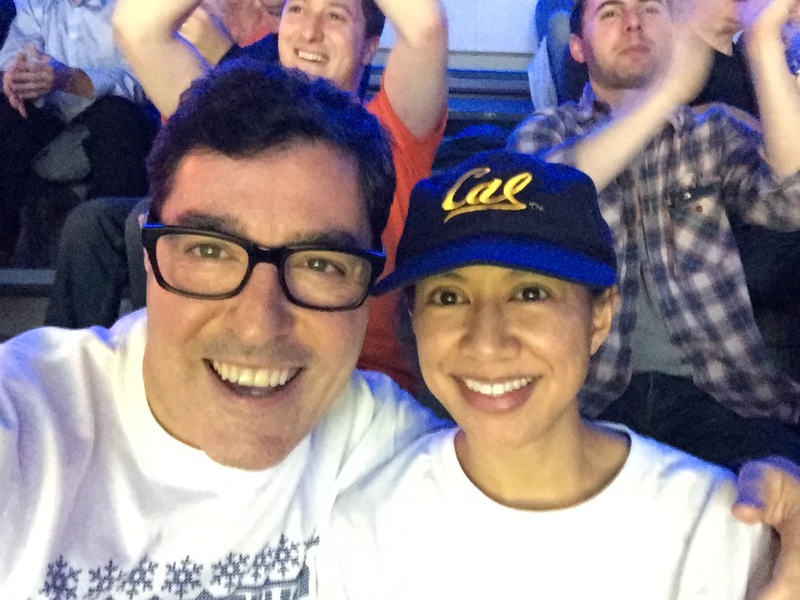 Since Ronnie got us tickets through his alumni association, Dean and I were straggler Bear fans in a sea of Wahoos, a nickname for the UVA sports teams and players. It was so much fun even though we lost! Plus I love basketball. I asked Ronnie about some fun facts about UVA, but he couldn’t come up with very many. Frankly, it’s been so long, I couldn’t come up with any fun facts about Cal either, except that we’re the #1 public university in the country. Sorry Wahoos! Here’s a comparison of the two schools I put together. Any alum who are reading? Please share your thoughts in the comments! Post I did comparing Duke vs UNC. We went to this game last year at UVA and were lost in a sea of UVA fans. More of a nail-biter than this year, I can’t diss on UVA too much since it’s still a good school, and as much as I would love for my girls to go to Cal, it’s so far and we’ll get in-state tuition for UVA (if they can get in). Looked like a fun night was had and thanks for the breakdown of the two schools, as well here. Very nice. Looks like a fun time. I love going to Haas. Here is one. 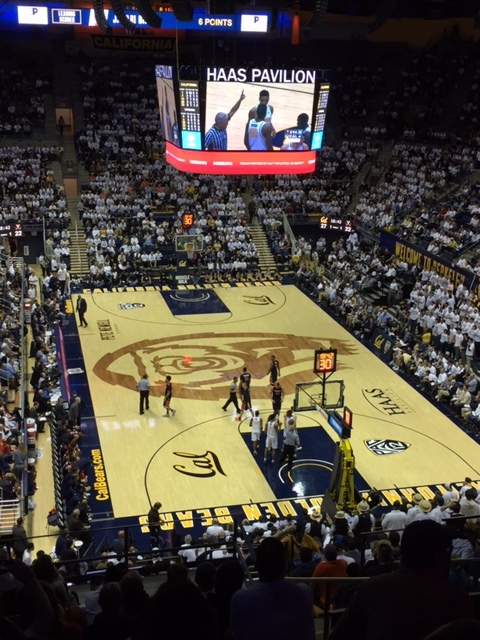 UVA’s women’s hoops coach was the Cal head coach before she left for UVA. I love basketball too! The one stat that stands out to me is the huge price difference between in-state and out-of-state tuition. Crazy! My daughter was considering William and Mary, but as an out-of-state resident it would have cost $60,000 a year. No thanks! Oh – also just saw your Christmas in SF post – loved it! Hope you had a wonderful holiday.